Just finished Andrew McCarthy's, the former Brat Packer's, memoirs which was just published. 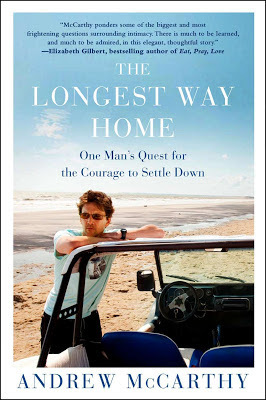 It is titled The Longest Way Home. This is a self-styled as a memoir. Quite frankly much more than that. It reminded me in many ways of Bruce Chatwin's travel books (and not just because of the Patagonia connection). This publication is a book about travel. And, similarly, as in Chatwin's works, it also a book about how the travel experience impacted writer's emotional life. I want to clarify that I wish not to diminish in any way (or praise) of McCarthy's book with this reference to Chatwin. But they have achieved an similar achievement (McCarthy's book and Chatwin's ouevre). Perhaps McCarthy has never read Chatwin? But he still channels equal intelligence. I was especially impressed with McCarthy's spare writing style regarding the travel aspects. McCarthy's ability to analyze his emotional life as influenced by his travels around the world makes this book excellent. The travel aspects would have had me mesmerized but it is the relationship to the travels to his own life that makes this book truly genius. While it was self-titled a memoir, it is probably more a travelogue. I say that for those fanaticists who'd like to argue (and that is the way of life a blog writer). Although it is not a comprehensive biography of McCarthy's life it does intersperse important aspects of his life including his first marriage and his time as a BRAT PACK movie star, among others. Throughout tall of these changes McCarthey changes. I discovered this book by watching Piers Morgan on CNN (whom I detest). He was interviewing Andrew. I was so compelled with the actor/director/writer, so I ordered the book. I think that I was hooked by the author me during the interview, particularly his observation that American's fear of travel is a downfall. I've always found every moment I travel always make me more alive and aware. Smarter. Z better human. Most Americans just want to stay in the comfort zone. I connected with McCarthey's claim that traveling was a noble experience. This book is a peon to travel and the author's spiritual and emotional growth as a result. McCarthy somehow came to find himself in a deeper and more meaningful way only because of his global travels. He is also a man of many talents. 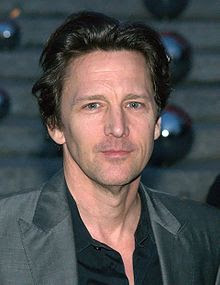 In addition to being a successful actor and television and play director, he has spent much of his adult life traveling as a professional travel writer for National Geographic and other periodicals. This book chronicles a series of trips to Patagonia, the Amazon, Costa Rica, Vienna, Baltimore and Mt. Kilimanjaro, among other. These all lead up to his marriage to his second wife in Ireland. Andrew's ability to overcome his hesitence to a his second marriage was achieved only by these arduous, lonely journeys that he tells about us in his spare riveting way in this book. Through his solitude travels he finds a way to embrace a future of being a husband, father, son-in-law, and friend in ways he couldn't before his lifelong journey. I think what I took away from his story: by facing his basest /fearsissues he found much more profound issues that he couldn't have understand had he not traveled the world. Let me say......I agree with McCarthy's belief about travel: that it transforms you. But I wouldn't want to face an anaconda or boa constrictor. I wouldn't mind seeing Patagonia. I would love to go to Africa. I've been to Costa Rica. I've done Baltimore. I don't think I'll suffer the final "day of hell" that he experiences on Mount Kilmanjaro. 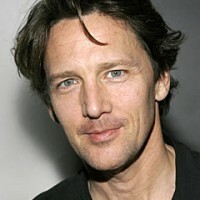 But I'm so blessed to have had experienced these moments thanks to Andrew McCarthy's talents. Isn't he simply gorgeous. He has aged, beautifully! Good for you Mr. McCarthy. I literally enjoyed every single moment of this book. While he was always appealing to me as an actor, he seems much more sensuous, appealing, intelligent and distinguished in this artistic work. His accomplishments are really impressive as an (artist) actor, director and writer. Don't miss this book.